Fair Trade provides a sustainable market for handcrafted products made by artisans around the world. It gives artisans and farmers who would otherwise be under- or unemployed the opportunity to earn necessary income. In this way it provides families with food, housing, and clothing. The artisans and farmers are paid a fair price to cover costs of materials and provide compensation for their labor and skill. Fair Trade also has a mission to respect the environment. Most of the products you'll find in our galleries are made with recycled, re-purposed, or sustainable materials. Production processes are designed to reduce energy consumption, avoid pesticides, and minimize waste. 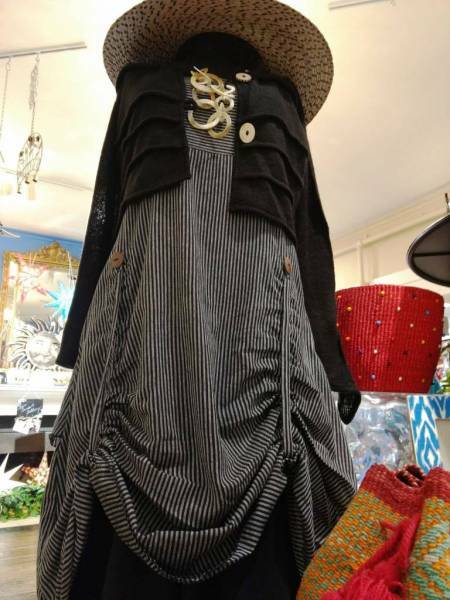 Every item in the Fair Trade+ Gallery has a wonderful story behind it. Just ask one of our knowledgeable associates. Come in to explore these beautiful handmade and hand-cultivated treasures without having to travel half-way around the world to find them. Poverty reduction through trade. Enables marginalized small producers to move from income insecurity to economic self-sufficiency and ownership. Transparency in management and commercial relations and accountability to all stakeholders. Communication channels are open at all levels of the supply chain. Trade with concern for the social, economic, and environmental well-being of small producers, who in turn respect contractual commitments. Mutually agreed upon fair pay to producers that can also be sustained by the market. Adheres to the UN Convention on the Rights of the Child and national / local law on the employment of children. No forced labor used in production. No discrimination in hiring, remuneration, access to training, promotion, termination, or retirement. Safe and healthy working environment, working hours, and working conditions. Development of skills and capabilities of employees, including management skills, production capabilities, and access to markets. Raising awareness of Fair Trade and its goals through honest advertising and marketing techniques. Maximize use of raw materials from sustainably managed sources, reduce energy consumption, use organic or low-pesticide production methods, and minimize the impact of waste. Read detailed definitions of these ten principals at the World Fair Trade Organization. The “plus” in our Fair Trade+ Galleries is for charitable brands that make the world a better place by giving to those in need. For example, the 11th Project collection from Chavez for Charity benefits Fox Valley Food for Health, an organization committed to providing nutrient rich meals to locals in need who are dealing with a serious illness. Every bracelet from Chavez for Charity gives back to a specific charitable organization. Casual style & comfort is only part of the TOMS shoes story. The company's "One for One" slogan means that for every pair of shoes sold, the company donates a pair of shoes to a child in need. TOMS works with over 100 giving partners in more than 70 countries to provide goods, services, and even employment to areas in need. Based in Santa Cruz, California, Avatar Imports partners with Jhaindra Ghimire, a factory owner in Kathmandu, Nepal, to produce its fun, boho-chic designs in a manner that is socially, environmentally, and economically responsible, thus giving Nepali workers a chance to rise out of poverty and enjoy an improved standard of living. 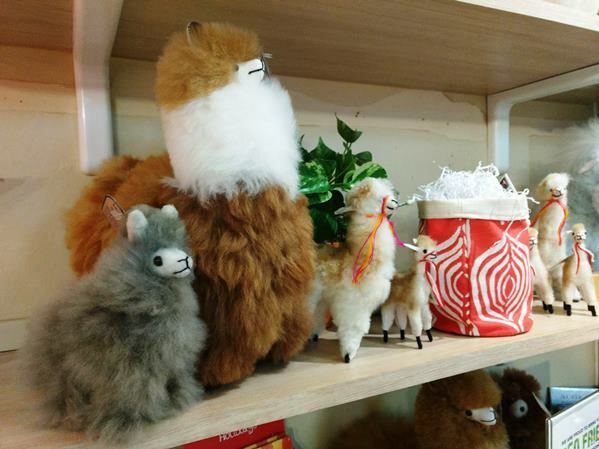 Beautiful and incredibly soft stuffed animals made with recycled Alpaca fur by an artisan from the Peruvian highlands. Your purchase helps families earn economic independence, social well-being, and self-esteem. Brings the traditional basket weaving craft of African villagers to the US. Provides sustainable employment to marginalized communities. Beautiful jewelry in sterling silver, pearls, and stones. The vision of Gracia y Milagros (Grace and Miracles) is to empower girls and young women in Guatemala to become self reliant. The company provides both business and skills training through Casa Hogar, a home for abused, orphaned, and indigent girls in Jalapa, Guatemala. Tula hats are handwoven of sustainable palm fiber in a village along a mountainous region of Mexico, adhering to centuries of traditions. They offer maximum sun protection with a UPF50+ rating. They're also extremely flexible, so they're easy to pack. A collection of fine, handmade products from Krygystan and Central Asia. These areas have traditionally had limited market access. Shares the beauty of Guatemala's art and culture. Makes a difference in the lives of the Mayan artisans and their families. Level Ground Coffee's mission is to trade fairly and directly with small-scale producers in developing countries, offering customers ethical choices. Swahili African Modern operates from a small warehouse in the Pacific Northwest, but its network spans the globe. Founded over 20 years ago by Leslie Mittelberg, the company develops long-term relationships and handcrafted products directly with artisans in Africa. Working in Africa presents challenges, but Swahili African Modern thrives on creative problem solving as well as inspired design. These gorgeous baskets are environmentally responsible, made with sustainable and recycled materials. Mata garments and accessories are made by women's cooperatives in India and Nepal. Mata purchases directly benefit the women and their families. The co-ops provide training, fair wages, and supportive benefits like healthcare and child care, literacy classes and financial education. Mata believes that empowering women is the key to ending global poverty. Wall art by Haitian metal artists in Croix-des-Bouquets. Haitian metal art dates back to the 1950s when a patron of Haitian arts was intrigued by iron crosses marking above-ground tombs in Haiti. He discovered the blacksmith who'd fashioned the crosses. Since then, the art of metal crafting has been handed down though family and mentors. Many supplies arrive in Haiti in steel oil drums, providing a ready supply of materials to be re-purposed into these stunning pieces of art. The result of the lifelong friendship of two loyal Chicagoans. The two women love traveling, social responsibility, and beautiful jewelry. They were enchanted by Bali and were inspired to turn their passions into a business. Sandpiper Imports brings unique .925 sterling silver jewelry handcrafted by artisans in Bali to our Fair Trade Gallery. 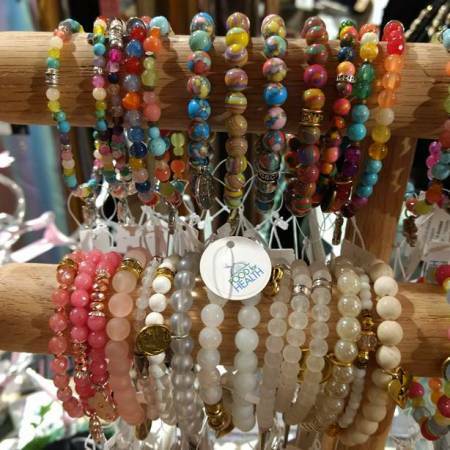 Shona stone sculptures continue to be the company’s flagship product, but Venture Imports has expanded to bring other exciting items from developing nations to North American markets, like recycled glass jewelry from Kenya. 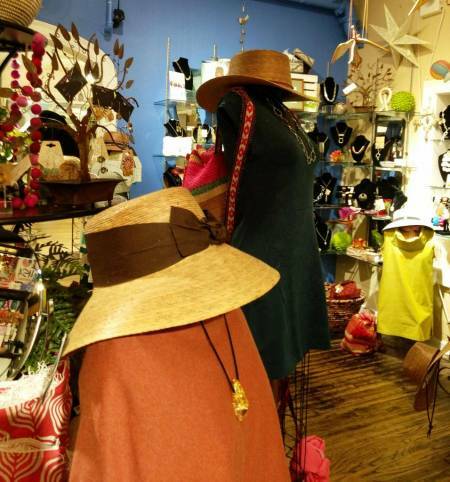 Features beautiful jewelry and accessories by artisans in Ecuador, Peru, Bolivia, and Columbia. 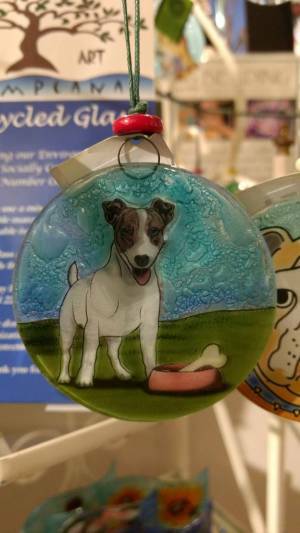 This company strives to provide opportunities for individuals with low educational and economical resources—around the world and in the U.S. Pampeana focuses on use of recycled and renewable products, so their lovely fused glass nightlights, tagua belts, wooden animal pens, and wavy glass art are good for the environment too. World Finds' mission is to make a difference in the world with ethical fashion by providing work, not charity. Jewelry, scarves, ornaments, etc. by artisans from India, Indonesia, and Nepal. The purpose of Chicago Fair Trade is to increase support for fair trade in the Chicago metro area. Through our Fair Trade Gallery, that's exactly what we aim to do.